MinterEllison has hired Mark Williams from DLA Piper where he spent the last 23 years and was partner since 2001. 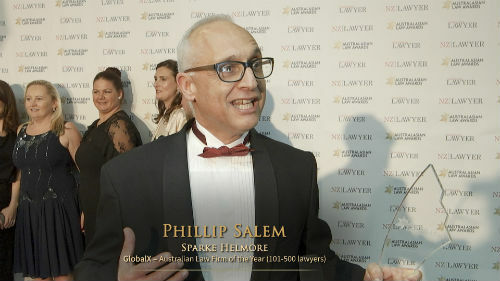 The Perth lawyer, recognised as one of Australia's top insurance and medical negligence lawyers and who joins his new firm as a partner, focuses on professional indemnity (health care liability and legal practitioners' liability), public liability, product liability, insurance coverage advice, the regulation of health practitioners, and clinical governance in hospitals and other health care facilities. “Mark and his practice are an excellent addition to our Perth ICR offering – one that creates the perfect synergy with our existing East Coast medical negligence, professional indemnity, public liability and administrative law practices,” said MinterEllison’s Peter Coats. “His arrival not only broadens our offering to the Western Australian market but also enhances our national practice. Increasingly, insurers are looking for national representation from their lawyers. A vibrant practice in Perth allows us to offer our clients a truly national solution and the best medical malpractice team in Australia,” the national head of the firm's Insurance & Corporate Risk (ICR) Business Unit added. Williams has close to 23 years of special insurance sector experience, with a strong local and international client base that includes insurers, reinsurers and captive insurers, and health organisations. His health care liability practice ranges from patient fatalities, serious brain injuries, "wrongful births", pharmacy errors, misinterpretation of diagnostic images, equipment failure, suboptimal ICU care, inappropriate accreditation of visiting medical officers and drug overdoses leading to serious health complications. Outside of the health care area, he acts in multi-party disputes involving contractual indemnities, double insurance and breaches of contract for failures to effect insurance. He has wide-ranging experience with the complex insurance and indemnity arrangements found in the resources, mining and construction industries. He also writes revisions to insurance policies and contracts in response to legal developments in those areas. Williams is an experienced advocate, appearing as counsel in the District and Supreme Courts of Western Australia, the State Administrative Tribunal and in the appellate jurisdictions of the Court of Appeal and the High Court of Australia. MinterEllison's Western Australia Managing Partner, Adam Handley, said the veteran lawyer brings deep insurance and the health/medical industry expertise and his arrival continues the Perth office's focus on strong growth in key strategic areas. “2016 has been a year of significant growth for our office here in Perth. Earlier this year we launched a new HR&IR practice with the arrival of partners Kathy Reid and Craig Boyle and their team of lawyers. We also saw the internal promotion of Gehann Perera and Kip Fitzsimon to our partnership to further bolster our strategic growth in this market,” Handley said. “In the past five years, we have trebled the size of this office in terms of revenue and people growth and we have diversified our offering to now provide solutions to clients across key practice areas and industry sectors,” he added. Williams said he had decided to join MinterEllison because of the firm's strong investment in its insurance practice and its pre-eminence in the sector. “I am delighted to join such an impressive, cohesive, diverse and enthusiastic partnership. My decision was an easy one. MinterEllison not only introduces my clients to a consistently outstanding national practice but also gives me the opportunity to collaborate in a top-tier firm that demonstrates its unwavering dedication to the insurance and health industries. I couldn’t be happier,” he said.